Do you have a creative project you’d like to complete, or a specific skill you’d like to develop as a professional artist? Our One-to-One Arts Mentoring program allows you to custom design a specialised mentorship that helps you achieve a specific outcome. The mentorship program is generally better suited to intermediate or advanced artists who have experience in visual arts and are looking to push their practice further by working with well-known professional artists from around Western Australia. The mentorship might also support you in building up a body of work for exhibition. Outcomes might be a a showing of your work, or entry into a tertiary educational institution for further study. Mentorships can be in any artform and you can be at any stage of arts development. 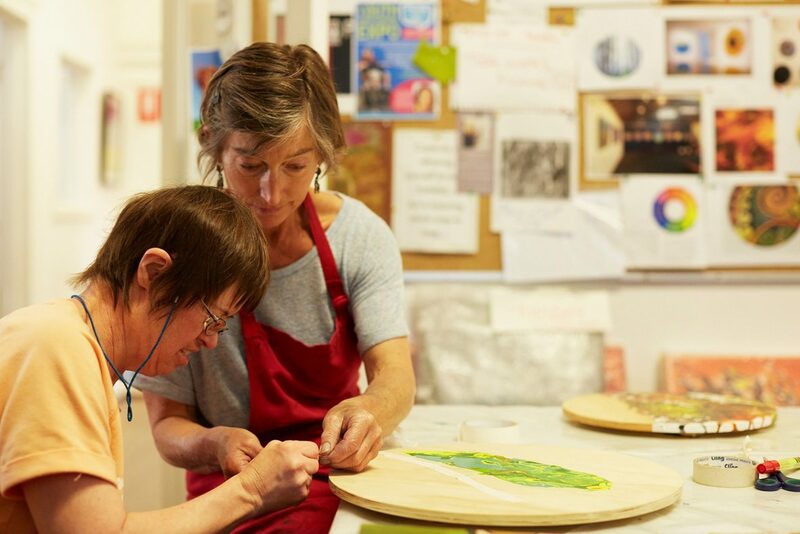 Mentorships are available with NDIS-enrolled participants, and DADAA can help you to demonstrate how our arts programs can be written into your NDIS plan. Contact us today if you’d like to discuss options.